In addition to our monthly meetings (see our home page), we have two main fundraising events annually that support the club's community outreach programs. Members also volunteer to host a community meal annually. The annual plant sale is the Saturday of Memorial Day weekend in Greenfield. 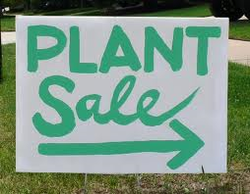 This is our much-anticipated plant sale (perennials, annuals, herbs, houseplants). Held rain or shine. Come early for best selection! The event starts at 8:30 am and goes until 12:30 pm. Volunteers and plant donations will be needed. ​We are working on a location and will update this page soon! 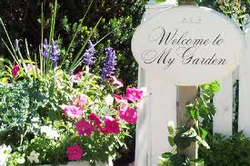 25th Annual Garden Tour - we will restart the Tour in 2020.
gardens. The tour runs from 9-4. Tickets will be on sale ahead of the event from 9:00 am until 1:00 pm (location TBD). Your ticket is also your map, and each person will need to purchase their own. Please respect our garden hosts and keep your pets happy by leaving them at home. Photos from previous Tours are posted on our Facebook page - they're gorgeous! Hypertufa Balls - click to see how they are made!